The conference comes but once a year, and when it does, it brings good beer. It's time for the 49th annual Lunar and Planetary Science Conference (LPSC), a geology-focused meeting of planetary scientists, taking place (as it has for the last several years) in The Woodlands, Texas, north of Houston. This year, I'll be attending for the entire week, plus the weekend beforehand, to immerse myself in up-to-the-minute science from missions present to long past. I'm trying to organize collaborative notetaking! If interested and attending LPSC, please see the end of this post. Monday 1:30-2:15 CDT (18:30-19:15 UT) Award presentations followed by Masursky Lecture by Linda Spilker: "Cassini's Amazing Discoveries"
Planetary scientists attending LPSC are invited to this free workshop, where they will learn techniques and suggestions for communicating with the press, by the press. Science journalists David W. Brown and Emily Lakdawalla will share tips and provide insight on giving interviews and sharing your science with the press. Bring your lunch and join us! No registration is required, but you can submit an indication of interest form to receive further details about this event. Want to improve your oral presentation skills? Need tips on how to effectively design a poster? Then this workshop is for you! The Next Generation Lunar Scientists and Engineers will be hosting a workshop on how to effectively communicate your science. 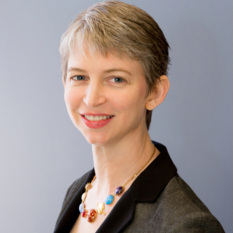 Emily Lakdawalla of The Planetary Society will speak on how to give better conference talks, and Paul Byrne from NC State will discuss strategies for poster design. The presentations will be followed by an open Q&A and discussion time. All are welcome! This year, I'm going to try something new: I'm going to spearhead a collaborative notetaking effort. I understand that this is something that students do in academic classes these days and it sounds like a super idea to help each other make the most out of a conference. I'm setting up Google documents for each of the sessions, and would like to invite people to pour notes into them -- either taking notes in the document live during the session, or pasting your notes into them later. If you're attending and interested in participating, even for just one session, contact me and I'll give you access to the documents. I will eventually make all the notes public. Help me out with this experiment! "Thursday morning: Galilean Satellites session" ...which begs the question: Why have all the other Jovian satellites been ignored? There were 13 known when the Voyagers passed by, and Juno's apajove is far enough out to at least LOOK at some of the farther out ones... One of the wonders of Cassini is that it managed to get dozens of satellites imaged. Voyager imaged most of Saturn's satellites as well as Uranus' and Neptune's. New Horizons got at least a smudge or two of Pluto's minor moons (and great images of two more). So why not Jupiter?